Yes, there ought to be a good opening in the shoe line. There wasn't an exclusive shoe-store in the place. The dry-goods and general stores handled them. Business in all lines was fairly good. Hoped Mr. Spencer would decide to locate in Elmore. He would find it a pleasant town to live in, and the people very sociable. Mr. Spencer thought he would stop over in the town a few days and look over the situation. No, the clerk needn't call the boy. He would carry up his suit-case, himself; it was rather heavy. 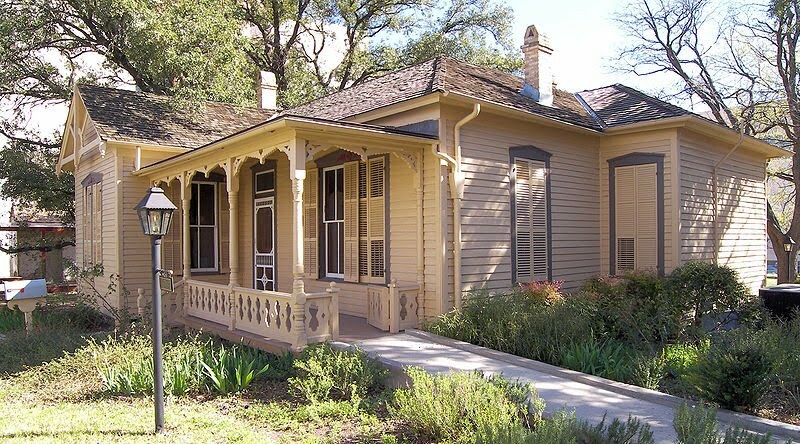 Photo is author's home in Austin, TX. Now the O'Henry Museum. (CC) Larry D. Moore.